Wonder what would happen if you do not clean your carpet regularly? At the very least, the fiber of your carpet will begin to fray, discolorations and stains will marking the fiber beyond cleaning. Sadly, that is not all – even worse than the way your carpet will look is what will it house. Beware – if you do not clean your carpet regularly, you will be walking on a health hazard. Pollen, bacteria, and germs are only few of all the disease-causing microorganisms that will thrive on your carpet. We at City Cleaners London understand that carpets are rarely cheap and yet they are quite easy to ruin. We have all the necessary equipment to lease a new life into your carpet. We know how much you value your carpets and we want to help you increase their lifespan. That is why we offer you to take advantage of our professional carpet cleaning services. Choose us to keep your carpet clean and we will lease a new life into your carpet quickly. We have our own patented 5-step cleaning method and we promise to make your carpet as good as new. Choose us to clean your carpet because we know how to treat a carpet with the respect and care it requires. Each member of our team is a certified cleaning expert with more than a year of experience in the field. Each of our experts has went through a thorough interview before being employed and they all have had their backgrounds checked. We assure the Customer that every member of City Cleaners London has a clean criminal record. Our technicians are also familiar with London and we promise that if you choose us to help you keep your carpet in a good condition, you will never have to wait for us – we will come precisely on time for our appointment. Our cleaning company uses the deep steam cleaning method. To keep your home beautiful and your health sound, rely on our professional assistance. Rely on us to clean your carpet and the results will completely blow your mind. Our carpet cleaning experts will make your carpet look as good as new. Q: What cleaning products do you use? A: City Cleaners London works with environmentally friendly cleaning products only. All of our cleaning products are non-toxic and completely safe for use near children and domestic pets. Q: Do you have a product that can protect my carpet fiber and possibly extends its life? A: Yes, upon our clients’ request, our technician will apply our professional SCOTCHGUAR Protector which will render your carpet fiber stain resistant. Q: Can I book your professional cleaning company for a service I want to be delivered in two months’ time? A: Absolutely! City Cleaners London are capable of delivering short notice services, and you can also book us to assist you in two months’ time as well. A: Our professional technicians will move furniture. Our carpet cleaning service include moving the furniture, cleaning the carpets and then resetting the pieces back in place. Q: Is there something that I have to do before the carpet cleaning? A: We recommend but do not require a light vacuuming before the appointment. Also, if there are any breakables or electronics on the furniture-to-be-moved, we would ask you to remove them. Q: How often should my carpets be professionally cleaned? A: Leading carpet manufacturers advise using professional carpet cleaning services at least twice a year. Of course, the frequency is dependent on the type of the carpet, the condition it is in and whether or not the piece gets heavy use. There also other factors such as allergies, pets and small children. The truth is that the more often you have the carpets deep cleaned, the longer they can last. Q: What types of carpets and rugs do you clean? A: As a professional cleaning company, we have experience cleaning all types of carpets and rugs. We know how to clean carpet fibers such as nylon, polyester, olefin and wool. Q: What cleaning methods do you use? A: The method we use for carpet cleaning is the hot water extraction also known as steam cleaning. The method includes pre-treating the carpet areas so that the cleaning session can remove the most stubborn, stuffed grime safely. Heated water combined with environmentally friendly cleaning solutions are injected in the carpet base. After this, powerful truck mounted extraction eliminates the allergens, dust, grime, the solutions and most of the moisture. Q: What stains can you remove from the carpet? A: Our company has a long-standing experience treating and removing a wide range of stains. We have the right equipment to remove everything from coffee spills to red wine stains. However, sometimes it depends on whether or not the stain is fresh, has it been treated before, what products have been used on it, and more. Anyway, we always do whatever it takes till we completely remove all of the stains, no matter their nature. Q: How much I have to wait before using the room after the carpet cleaning session? A: It is advisable to avoid heavy traffic in the room till the piece is completely dry. It usually takes a couple of hours. Q: What is not included in the carpet cleaning? A: Our carpet cleaning service is extremely thorough and is tailored to your own needs. 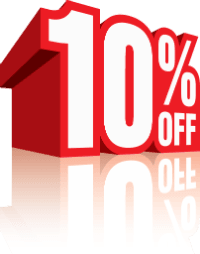 If you would like us to clean just a specific area of it or treat a single stain, we will customise the cleaning session to your own liking. Our cleaning sessions are safe and gentle so we would never do anything which can cause any damage. Q: Do I need to be at home for the carpet cleaning session? A: No, you do not need to. Usually, we deliver our carpet cleaning sessions while the majority of our customers are at work. You can trust us with keys to your property. Q: What if I am not satisified with the results of the carpet cleaning session? A: If you are not fully satisfied with the outcome of our carpet cleaning session, we would be happy to send a team of cleaners to do a re-clean, at no additional costs. Q: How long does the carpet cleaning take? A: Unfortunately, we cannot tell with certainty. 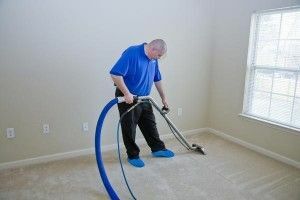 The time varies depending on the type and size of the carpet, the amount of pieces of furniture moved, how dirty and stained the carpets are, and whether or not it is necessary to apply any stain removal treatments.